Sepsis is an issue that process serious problems for years in terms of treatment and care. In addition to seen common it has always been associated with significant mortality. Sepsis is one of the frequent cases among child patients. For years, sepsis occupies the pediatric intensive care units. Treatment is very long, complicated, costly and challenging. During the treatment and care period and also during the follow-up period, it affects many systems mainly due to accompanying of other systemic problems. A good nursing care is very important in sepsis children. Sepsis requires a multidisciplinary approach. Anonymus, 2014. (Date of access: 25.11.2014). http://www.who.int/gho/childhealth/mortality/causes/en/index,2010. Carpenito LJ, 2012. Hemşirelik Tanıları El Kitabı. Çeviren Erdemir F. Nobel Tıp.Türkiye (in Turkish). Çelebi, S, 2006. Çocuklarda Sepsis ve Septik Şok. J Curr Pediatr : 4, (in Turkish). Çıtak, A. 2012. Çocukluk Yaş Grubunda Şok ve Tedavisi. Çocuk Dergisi. 12(3):99-112, (in Turkish). Dellinger RP, Levy MM, Rhodes A, Annane D, Gerlach H, Opal SM., 2013. Surviving Sepsis Campaign: International Guidelines for Management of Severe Sepsis and Septic Shock: Crit Care Med 41(2):580-637. 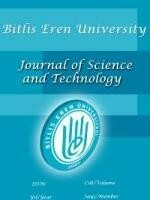 Düzkaya, D.S., Bozkurt, G. 2013. Çocuklarda Sepsis ve Hemşirelik Bakımı. Yoğun Bakım Hemşireliği Dergisi ;17(1). Kaplan S. 2003. Bacteremia and septic shock. In: Long SL, Pickering LK, Prober GC (eds). Principles and Practice of Pediatric Infectious Disease, 2nd edition. New York, Churchill Livingstone ;p. 810-25. Köroğlu TF. 2008. Sepsis ve Septik Şok. Metin Karaböcüoğlu, Tolga F. Köroğlu. (Eds.) Çocuk Yoğun Bakım Esaslar ve Uygulamalar. İstanbul: Medikal Yayıncılık. Türkiye; 753-763. Lebel M, Tapiero B. 2002. Bacteremia, Sepsis and Septic Shock. In: Jenson HB, Baltimore RS (eds). Pediatric Infectious Diseases, 2nd edition. Philadelphia: WB Saunders Company; p.279-95. Santschi M. and Leclerc F.2013. Management of children with sepsis and septic shock: a survey among pediatric intensivists of the Réseau Mère-Enfant de la Francophonie Annals of Intensive Care. 3:7.